Clifton ES - Ghost seen in the old school? 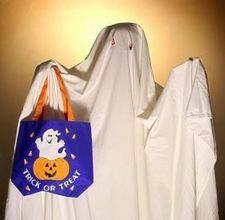 Any truth to the rumors that there was a ghost seen at Clifton ES? The ghost was an old "plump" woman. 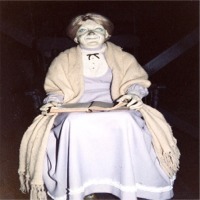 Maybe the ghost of a teacher that taught there? I heard her nickname is "Frumpy". Re: Clifton ES - Ghost seen in the old school? Supposedly, this is the real reason why they closed the school. Even though the county's own review showed that it would be more cost effective to repair the existing school. I heard it was ghost who wanted to get rid of Liz. I hope she haunts her for the rest of her life. Clifton, Virginia, like most of Fairfax County is rich in history. However, unlike most of Fairfax County, Clifton has managed to maintain and preserve that historical feeling to this day. The Town of Clifton remains a small, rural community compared to the more developed areas of Fairfax County. As a more rural area, many of Clifton's residents have come to depend on Clifton Elementary as the center of the wider Clifton Area Community. It is the place where families meet, a gathering spot for local organizations, and is vital to the livelihood of the Town's small businesses. There has been a school located in Clifton, uniting this more rural community since 1869. The following excerpt was taken from the book "Clifton" of the "Images of America" series published by Arcadia Publishing in 2009. "Clifton" was written by local resident, Lynne Garvey Hodge, owner of the Canary Cottage Bed and Breakfast, on Main Street in Clifton. Today, Clifton Elementary still serves nearly 400 students from the Clifton Area Community. The students at Clifton Elementary continue to thrive, as evidenced by the 2009 Governor's Award for Educational Excellence presented to the school during the 2008-2009 school year. Clifton students not only excel in their education, but also contribute to the surrounding communities through various outreach programs supported by the school. Each year the school's students regularly participate in a number of events to help raise money and awareness of those in need throughout the greater DC Metropolitan area. Such programs include the Fannie Mae Walk for Homeless, the American Heart Association's Jump Rope for Heart and the Student Council Food Drive. During the 2007-2008 school year, Clifton Elementary participated in a "Buddy School Program", with Crestwood Elementary in Springfield, VA. Clifton Elementary ran a book drive in the fall, delivering over 1200 gently used books to students at Crestwood Elementary. In the spring, Clifton Elementary families donated boxes of school supplies and clothing that were desperately needed by students at Crestwood Elementary. During the 2008-2009 school year, Clifton Elementary entered into a Community Partnership with Shelter House Inc., to help support the Kate Hanley Shelter, in Fairfax, VA. Each of the fifteen classrooms at Clifton Elementary assembled a complete “Kitchen in a Box” and donated these supplies to the Kate Hanley Shelter where they were given to families moving into permanent housing. In addition to the "Kitchen in a Box" program, the Student Council of Clifton Elementary ran a Snack Drive to benefit the children and families living at the Kate Hanley shelter. In addition to the programs described above, each month one class from Clifton Elementary makes and donates sandwiches to a local homeless shelter. The students enjoy this opportunity to "compete" with each other throughout the year to see which class can make the most sandwiches. On average, Clifton Elementary donates 5500 sandwiches each school year to the The LAMB Center in Fairfax, VA.
Outside of school hours, Clifton Elementary students and families continue to support their community. Many youth groups which foster the development and growth of children into community leaders draw their membership from the Clifton Elementary School attendance area. The Girl Scouts and Cub Scouts programs based at Clifton Elementary both have the highest participation rates of any school in their respective Metropolitan Washington Council areas. These programs include several members from the wider community who attend private schools, participate in homeschool programs, or who attend other public schools in the area which do not provide such service programs for their communities. In 2009, nearly 30% of the boys and over 60% of the girls who are students at Clifton Elementary participated in scouting programs. Clifton Elementary is not only a vital part of the Clifton Community because it educates our children. The school's Mission Statement explains: "Clifton Elementary empowers the school community to collaborate as scholars, mentors, and responsible citizens who foster creative learning, innovative thinking, and positive contributions to society." Clifton students, faculty, and parents strive to live up to this Mission Statement every day. Without traffic lights or a direct postal service, Clifton remains an enchanting relic of a time past. Functioning a few decades behind the rest of the world, Clifton's façade is composed of houses that are almost all over one hundred and twenty years old. White picket fences line main street, rustic lanterns and barrels full of flowers adorn the small hub of town. Featuring a handful of shops—a general store, florist and antique collector—Clifton's economy has not developed much since its founding days as a small railroad station. Originally known as Devereux Station, Clifton was borne as a direct result of the Civil war. In 1861, the Union army incorporated the O&A (Orange and Alexandria) railroad company into their military system. Serving as the southern-most point of the Union army, Clifton housed soldiers placed to guard against a Confederate invasion. Oftentimes troops marched through town, fighting small battles and preparing to set up camp along the creek. After the war was over, Harrison Otis (commonly credited as being the original developer of the town) helped to modernize the railroad, and in doing so, he purchased Devereux Station. After failed attempts at cultivating grapes in his vineyard, Otis opened a hotel in the building that now serves as the Hermitage Restaurant. The town quickly became a retreat for the wealthy of Washington. Although its previous reputation preceded it as great hunting grounds (George Washington and Lord Fairfax used to ride here on their hunts), its new fame was the saloons, hot springs and peaceful small-town pace. 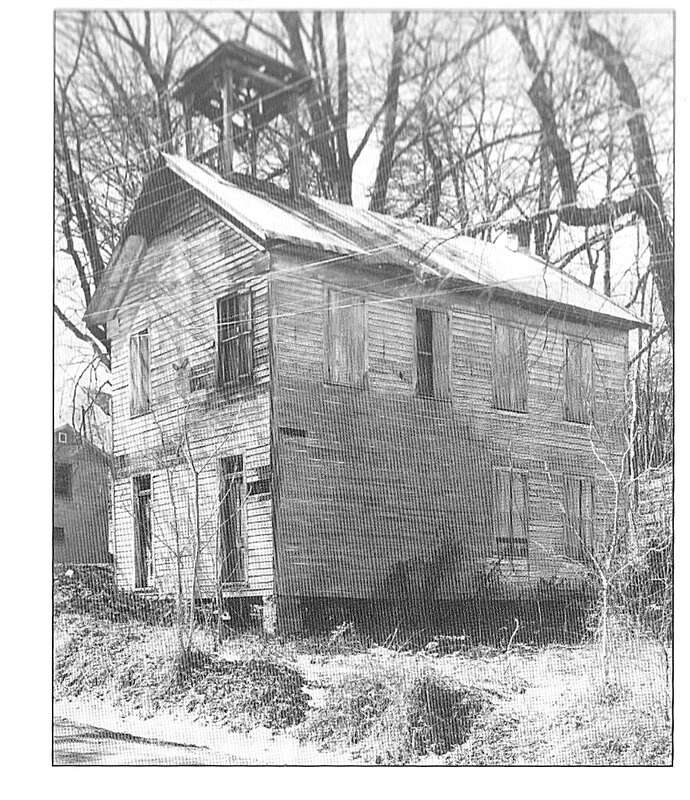 Clifton became the first community in Fairfax to have power in 1925 with the coming of the Bull Run power company. The first high school in the county was also opened here, with students shuttled in by train. The Buckley store, built in 1900, was another major factor in the town's growth. Claiming to have "everything from a pin to a plow" the store was later closed and converted into the Heart and Hand restaurant. A few of Clifton's most notable guests include actress Helen Hayes who frequently summered here and Jeff Arch who wrote his famous screenplay for Sleepless in Seattle in a house on Main street. Events throughout the year such as Clifton Day, held the second Sunday of each year, allow tourists to come enjoy the town. Initially intended for the townspeople to become better acquainted with neighboring towns, as many as 20,000 people come to Clifton Day to enjoy the hundreds of craftsmen, artists, antique dealers and food vendors. The Clifton Woman's club sponsors an annual Spring Home Tour and Christmas Candlelight Home Tour. In June, the 5K Caboose Run, hosted by the Clifton Betterment Association, fundraises proceeds to donate to local charities. The Community Hall—built in 1995, this is Clifton's most recent addition—is decorated with four seasonal murals of the town painted by Lee Ruck. If you are interested in taking a walking tour, be sure to check out the following spots! The Beckwith House, also called "the Homestead", was built in 1771 and is Clifton's oldest house. The Mayhugh Tavern was built in 1870 and operated by Gustie "Grandpap" Mayhugh who strived to "run an orderly and genteel bar". The Clifton Baptist Church (across the street from the Canary Cottage!) was built in 1876, has a spire steeple and gothic windows. The Hetzel House was named after its resident Susan Riviere Hetzel, who founded the National Society of the Daughters of the American Revolution. The Helen Hayes house was built in 1908 and the actress thoroughly enjoyed her stays there as the guest of her nephew and his wife. 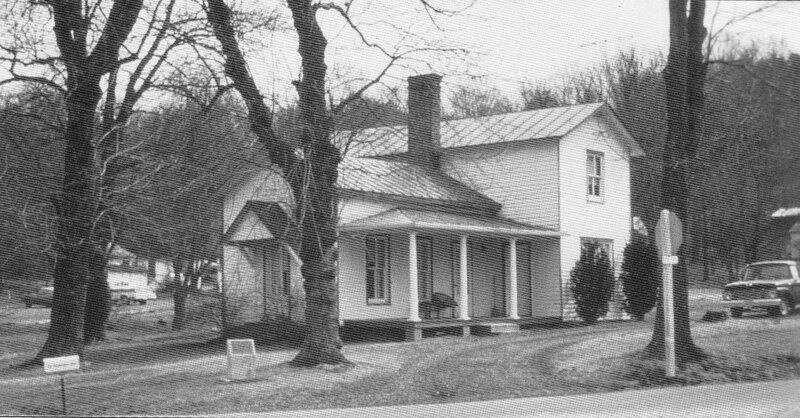 The Harris House is the second oldest in Clifton, built in 1850. The Lucy Virginia Davis Buckley House was built in 1913. It has been the home to two mayors and once served as an elementary school and high school. Lastly, the Southern Railway Caboose is a beautiful bright red landmark designating the spot of the original Devereux station. Aptly nicknamed the "Brigadoon of Virginia, Clifton was declared a national historic district by the U.S. Department of Interior in 1984. THe whole place is haunted. We went to Clifton to visit some of the old buildings. I know what we saw in one of the windows. It looked like a beast. And then it was gone. Never Never again. Four of us saw it. We were not drunk,high or crazy. > saw in one of the windows. It looked like a beast. > us saw it. We were not drunk,high or crazy. The newer old school may well be haunted by the ultra materialistic, hatefull selfish Clifton Parents whose deaths would be a community service. Rumor has it that the ghost stalks the old halls of the school, and the rooms, and is there to "protect" the school. I wonder what will happen if they try to tear it down? Only time will tell. Maybe the ghost is posting as Old student. > Maybe the ghost is posting as Old student.